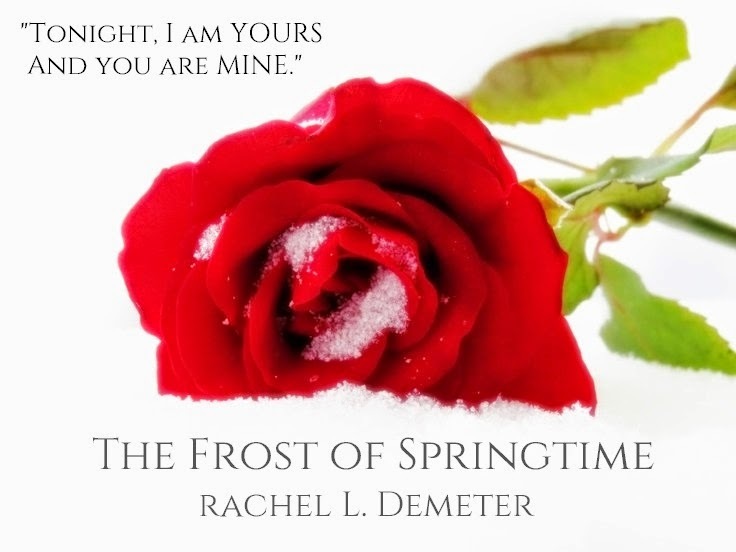 Love Saves the World would like to welcome Rachel L. Demeter and her book, The Frost of Springtime. For this blog tour, Rachel will be awarding a $15 Amazon GC to a randomly drawn winner via Rafflecopter during the tour, plus an autographed bookmark will be awarded to 10 randomly drawn winners (US ONLY). To follow the rest of this tour, click here. But when Aleksender is drawn away by the Franco-Prussian war, the seasons pass. And in that long year, Sofia matures into a stunning young woman -- a dancer with an understanding of devotion and redemption far surpassing her age. Alongside his closest friend, Aleksender returns home to find that “home” is gone—replaced by revolution, bloodshed, betrayal—and a love always out of reach. Scarred inside and out, he’s thrust into a world of sensuality and violence -- a world in which all his hours have now grown dark, and where only Sofia might bring an end to the winter in his heart. Sofia knew he was a broken soul ... more so now than ever before. No, she was not scared. His cruelty was entirely wasted. One look in his eyes had confirmed her every thought. He’d never harm her. Although, for reasons she couldn’t fully comprehend, he wanted her to believe otherwise. But Sofia saw past his rugged façade. And her heart only constricted for his pain. She felt so helpless, so very trapped. How she ached to heal him! She ached to kiss away all of his scars -- internal and external, old and new. She ached to rescue him from the blackened depths of despair -- just as he’d done, all those nine years ago. Check out The Frost of Springtime on Goodreads. Subscribe to Rachel's newsletter here. Thank you for the opportunity to be part of this event! Congratulations on The Frost of Springtime! You're welcome! Thank you for the opportunity! Hi, Mary, MomJane and Karen H! Thank you for dropping by and helping me welcome Rachel to my blog! I hope you can drop by the other blogs to see what features they have!